Nizhny Novgorod State academic Philharmonic named after Mstislav Rostropovich is one of the largest concert organizations in Russia. 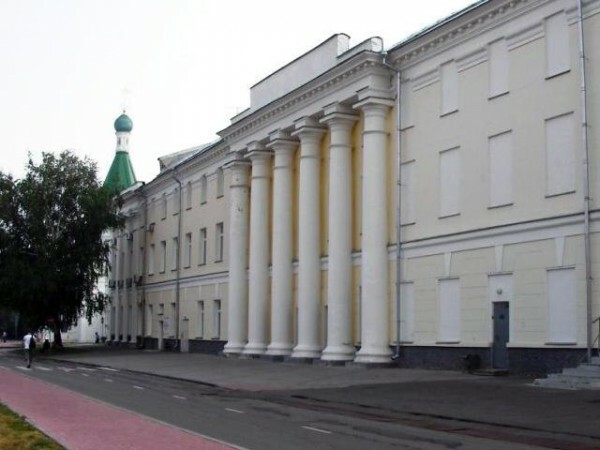 Founded in 1937, the Philharmonic is the main organizer of symphonic, choral, chamber, organ and literary concerts in Nizhny Novgorod and the region. Every year the Philharmonic holds more than a 1500 concerts for more than 250 000 viewers. Many of the artists and staff of the Philharmonic became widely known, they were awarded honorary titles, became laureates of all-Russian and international competitions. Concerts of finalists of the project "River of talents" and the subscription "The St. Petersburg music house presents" are held since 2013. Artistic Director of the orchestra and chief conductor is the Honoured artist of Russia Alexander Skulsky.